People report seeing the ghost of Bugsy Segal who was supposedly shot and killed on this property. He is said to haunt the swimming pool, Wedding Chapel, and the Presidential Suite. Bugsy Siegel was killed in Beverly Hills, not the Flamingo. Hate to burst any bubbles here, but Bugsy Siegel was not shot at the Flamingo. He was shot at his girlfriend Virginia Hill’s home in Beverly Hills, CA, likely over his inability to stay within his budget while building the Flamingo. 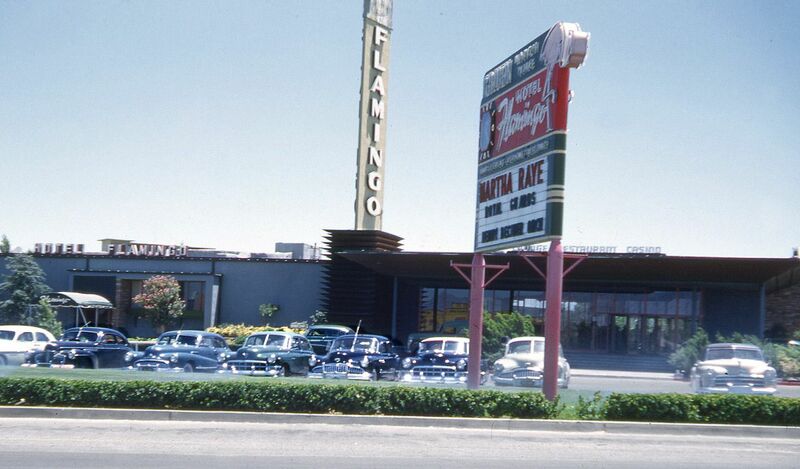 (with new revelations disputing that as the reason) Also, and quite unfortunately, no original structures remain of the original Flamingo… much like the rest of the rapidly-vanishing 1940s-1980s Las Vegas Strip.